Falmouth Climate Controlled Self Storage offers individuals the finest self-storage facilities and services on Upper Cape Cod. Convenient, clean, safe, secure, and affordable storage units are available in many sizes, and are perfect for personal belongings, furniture, appliances, equipment, antiques, art, musical equipment, and more. Larger units are also available for cars, trucks, boats, etc. Our humidity-controlled environment maintains 50% relative humidity and will keep your valuables protected. 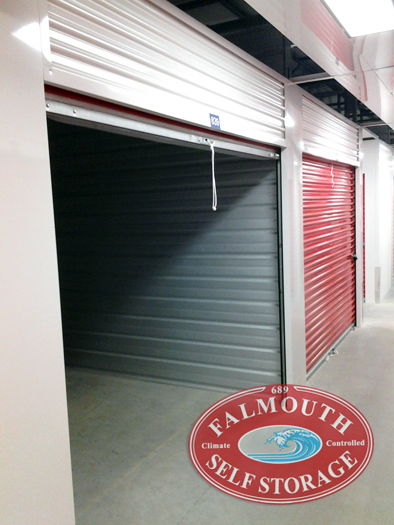 Our secure storage facility is perfect for home renters, owners of second homes on Cape Cod, students, vacationers, vendors "following the summer crowd," artists, antique dealers, musicians, collectors, and any other individuals (or businesses) who need affordable, secure, temporary storage in Falmouth, MA. 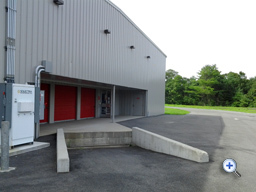 Our storage units also offer the ideal space for equipment storage for scientists and educators working on oceanographic research at Woods Hole MA.